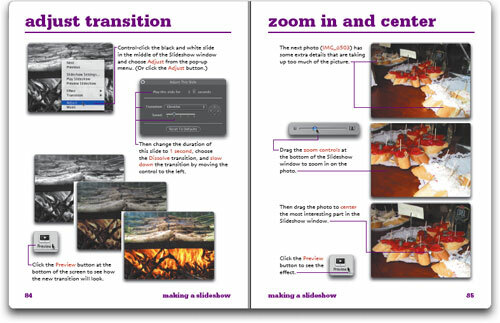 Here is an excerpt from my new book, Creating a Photo Book and Slideshow with iPhoto 5: Visual QuickProject Guide. Apart from these 8 pages, you can also consult the table of contents and the index online. 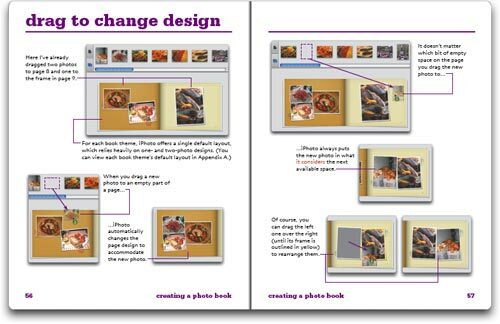 These first pages are from Chapter 2: Creating a Photo Book. Click on the image to see the corresponding full-quality PDF file. 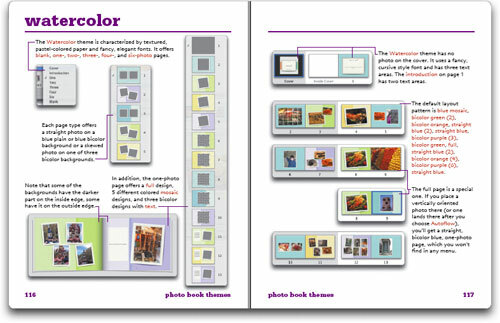 This next spread is from Chapter 3: Making a Slideshow. Click on the image to see the corresponding full-quality PDF file. 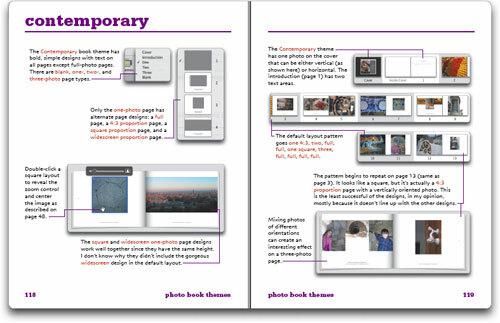 The final spread in the excerpt is from the Appendix, which details the page types and designs for each of iPhoto's book themes.